SKU: SC/lea198. 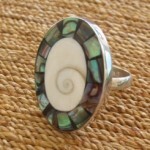 Categories: Abalone, Earrings, Shiva Eye. 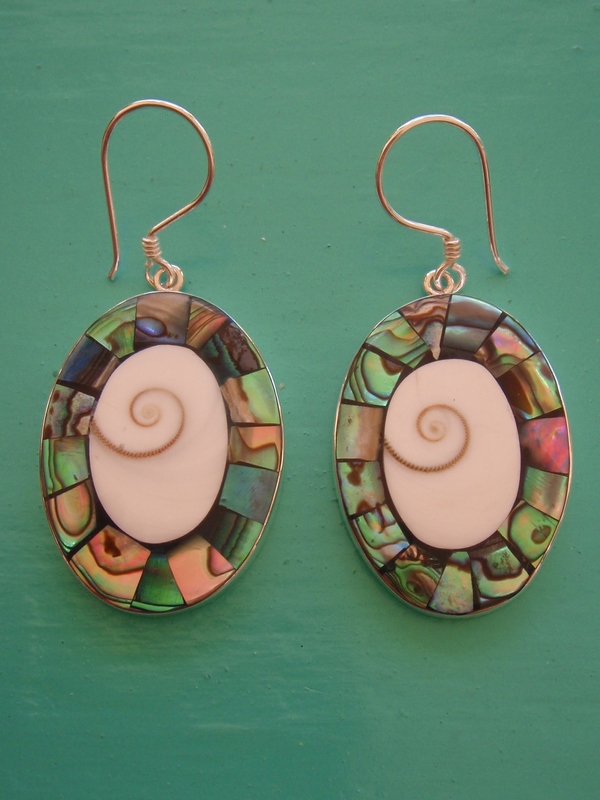 These large earrings are a must for beachcombers and ocean lovers alike. 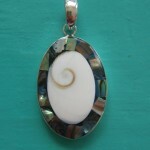 Here we have two polished seashells set in one sterling silver earring. 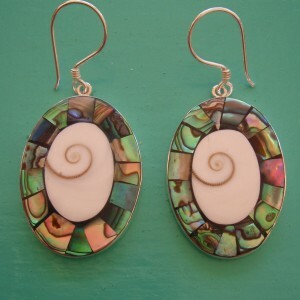 These were handmade using the stunning array of ocean colours from an abalone shell, combined with the elegant white spiral shell that is Shiva Eye, which is in the middle. This is a beautiful combination, sure to get admiring looks from friends. And why not get a matching set? Silver Chelles also have a Pendant and Ring in the same style…take a look.